 This sweeping, romantic novel written by a popular Norwegian author takes place in Norway during the 1800s. Its heroine, Dina, is an unhappy, fiercely independent siren who is tormented from childhood by her mother's death from wounds caused by Dina's accidental spilling of a pot of scalding lye. After her mother's agonizing demise, the horrified Dina is periodically visited by her mother's ghost, turns mute, runs wild, and learns to bend people to her will. Her father, the town sheriff, struggles in vain to raise her properly. When Dina's father weds a woman whom his daughter dislikes, he marries Dina off to a middle-aged, comfortable landowner who is entranced by her untamed, ``heavy sensuality.'' After the landowner dies in a suspicious sleigh accident while Dina is taking him to the doctor, Dina takes over the household and manipulates the lives of everyone in it. Then she meets an enigmatic Russian traveler who wins her hard heart. The author convincingly conveys Dina's shattered psyche, as well as the narrow-mindedness of her neighbors. 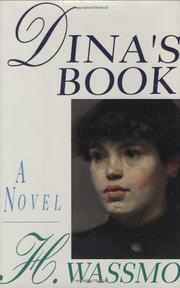 She also skillfully evokes the primitiveness of the Norwegian landscape, which closely mirrors Dina's temperament. But the plot is formulaic and the prose often clichÇd and melodramatic (``He felt his lust recede and his maleness burst....He realized that Dina--the mistress of Reinsnes--was a child. He was moved by the thought and filled with shame. And excited beyond belief!''). Dina is more of an archetype than a fully developed character, as are the men she seduces. Even when she meets the man she is destined for, there is no real change on her part or resolution in the story. After a psychologically suspenseful start, the novel turns predictable and disappointing.